Vent holes release any air or moisture present in bag. 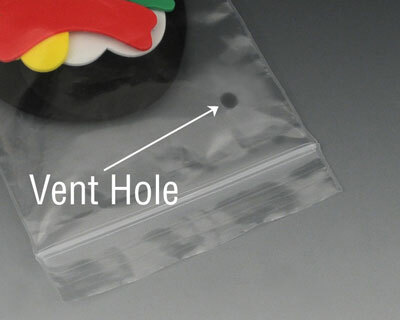 Use to package clothing, food, crafts, or any item that requires air to escape. Spot-weld zipper securely seals contents. Meets FDA and USDA specifications for food contact.